It’s hard to think about a 16-year-old kid buying a brand new car and immediately taking it to a local body shop to have it completely customized, but that’s just what Jack Nethercutt did with his new 1952 Oldsmobile 98. 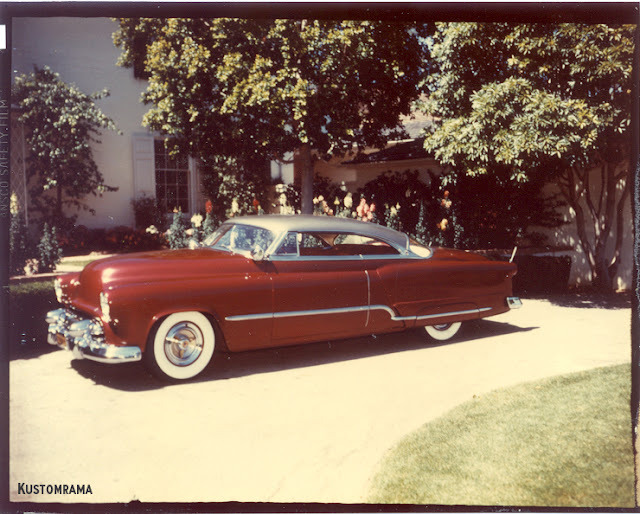 The showroom-fresh Olds was reworked by none other than Barris Kustoms, and featured modifications such as a chopped top, ’53 Ford grille bar, and a new Cadillac engine. Known as the “Vienesse,” the fancy Oldsmobile was featured in several magazines, and even made its way onto a few covers. KUSTOMRAMA has a nice little feature on the Vienesse, and it includes several great period pictures. You can learn all about it by clicking this linkola. The Jalopy Journal brings us another great little feature, and this one includes a video. Everybody has heard the song Little Deuce Coupe by the Beach Boys, but only the real car lovers know exactly what that car looked like. In this piece, the son of the original builder, Curt Catallo, talks about the famous ’32 Ford, gives us a bit of history, and explains what it means to him. The song Little Deuce Coupe is probably the most famous hot rod ditty ever. And this car is one of the most iconic rides ever. It’s a fun little video, and it sheds a little more light on the fastest set of wheels in town. Check out the link here. 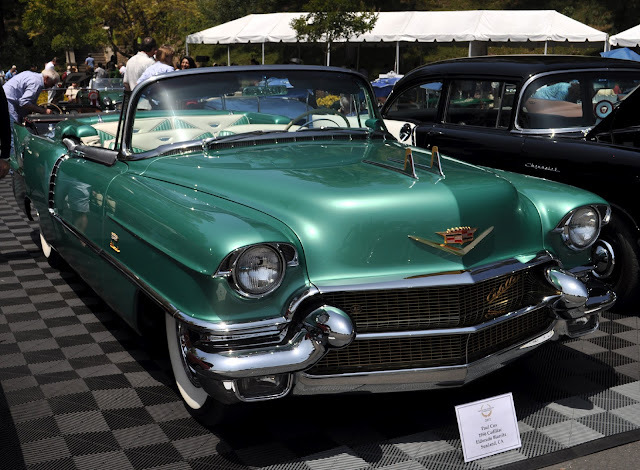 Old Cadillacs are among the best cars to check out at car shows. With all their intricate details, heavy chrome, and cool emblems and baubles, they’re just made to be studied. So when I saw the selection of Cadillacs that Just a Car Guy photographed at the Graystone Mansion Concours, I knew I had to pass the link along. My favorite of the bunch is the ’56 Eldorado. That green is really pretty, and those cars were just so over-the-top. You gotta love it. He also featured a ’30 Caddy and a ’58 Eldorado convertible. As his title says, they are “some pretty Cadillacs.” Take a look at them in-depth by following this link. Why does it always seem like I end up posting a link from the Hemmings blog? Maybe it’s because they come up with so much great stuff. 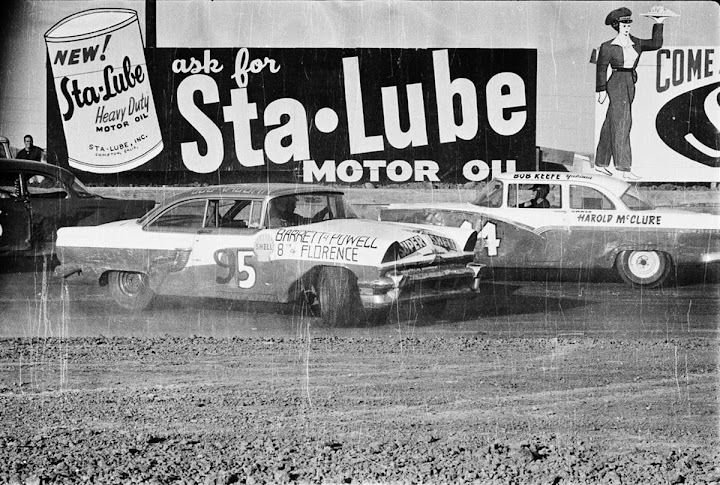 In this one, photos taken by the Los Angeles Examiner depict a late model stock car race in Gardena, Calif., in 1958. The pictures feature notable marques such as ’57 Fords and Chevys, and you can see lots of spins and fender-benders. It just seems like it would be so awesome to be able to watch this race today. I studied those pictures for quite awhile, and it wasn’t hard to slip into a daydream, hearing, smelling, and feeling what it must have been like that day. Even the billboards are cool. Relive a little stock car history by visiting this link. Normally, I like to feature a link that includes pictures, but I’m going to make an exception here. 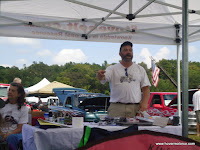 John Milliman is the head honcho at the Stovebolt forum, where a big gaggle of old Chevy truck kooks get together and gab about life in low gear. 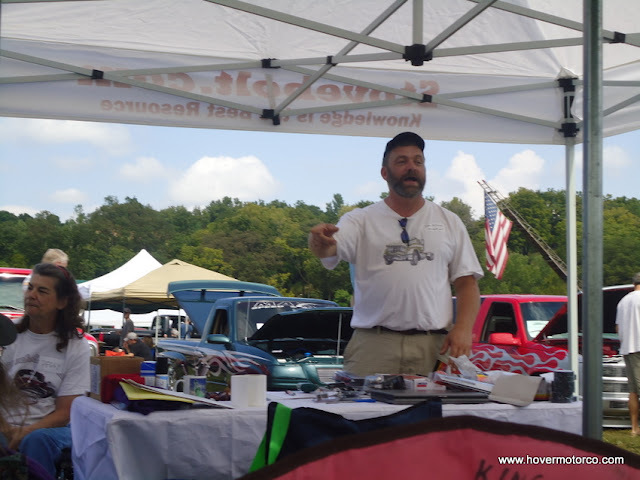 John and his wife Peggy usually make an annual trek from Maryland to the Stovebolt Reunion, which takes place at the Midwest All Truck Nationals in Kansas City in the fall. I just like the guy’s low-key sense of humor, and some of that shines through on his Will Rogers-like posts in his “Road Kill Commentary.” There’s nothing too shocking here. He’s just talking about how people wave at each other when they meet each other driving on country back roads. But it’s a fun little read. I actually wish he’d post stuff more often. The link is here. But the column from the Stovebolt forum settled my stomach a bit. I'll survive now.